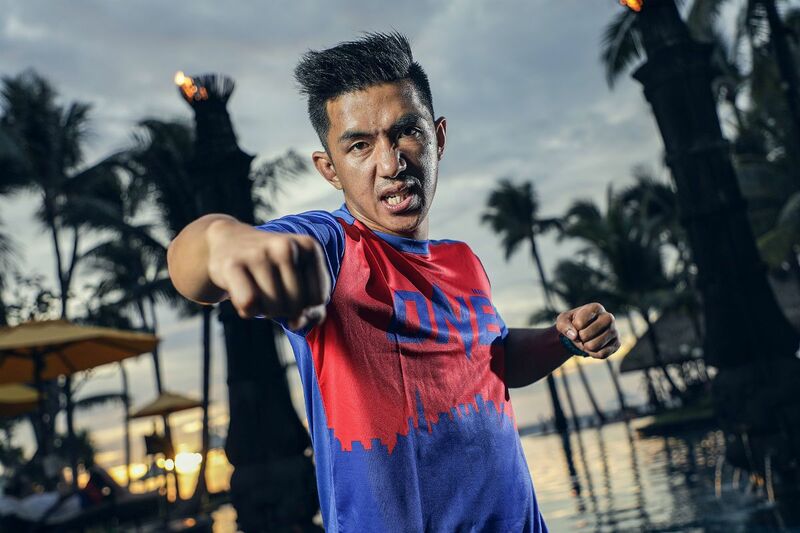 ONE Championship returns to Jakarta, Indonesia on Friday, 3 May for ONE: FOR HONOR, which boasts a card stacked with some of the world’s elite mixed martial artists. 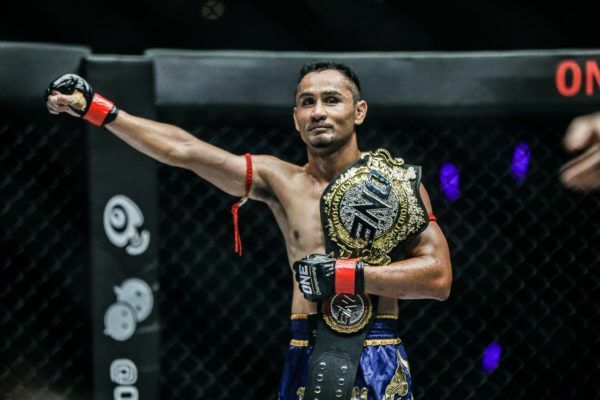 Gold is on the line in the headline bout at the Istora Senayan as ONE Flyweight Muay Thai World Champion Sam-A Gaiyanghadao returns to put his belt on the line against the exciting Jonathan “The General” Haggerty, who proved his class with an amazing first performance on the global stage. There are plenty of other athletes on the bill who are capable of delivering when the pressure is on in the world’s largest martial arts organization, and there is no shortage of proof in the ONE archives. Ahead of what promises to be another spectacular event, take a look at a quartet of memorable performances from some of the stars set for action, and get a taste of what is in store at the start of next month. The bout that propelled England’s Jonathan Haggerty into the main event tilt and a shot at his sport’s top prize was the first ONE Super Series bout of 2019 – and when we come to review the year, it may still stand as one of the most memorable. Haggerty engaged in a thrilling back-and-forth striking battle with Italy’s WBC Muay Thai Super Bantamweight World Champion Joseph “Hurricane” Lasiri at ONE: ETERNAL GLORY as the two seasoned strikers went back and forth over three breathless rounds. 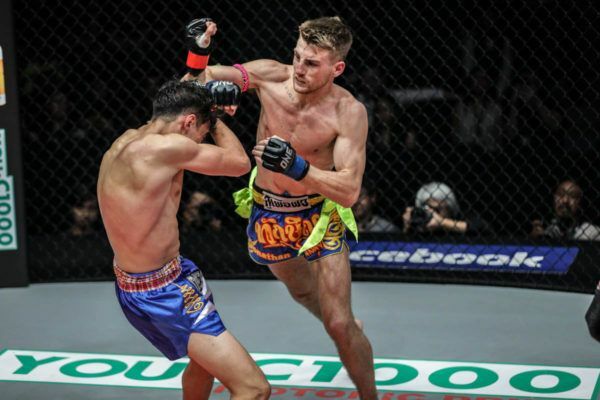 The young warriors had the tools to change the course of the contest in an instant with their 4-ounce mixed martial arts gloves, but it was Haggerty’s elbows that proved to be the most decisive weapons. He dropped Lasiri in the first round with a stunning downward strike, and continued to connect with them for the rest of the bout. 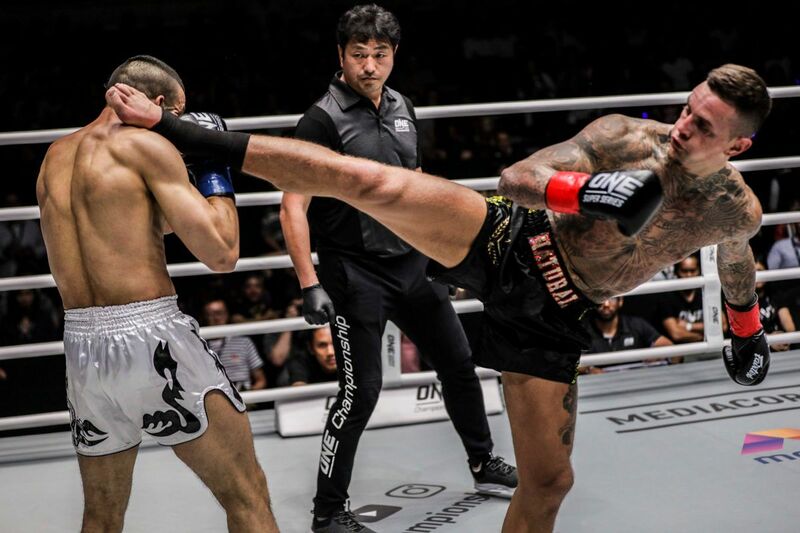 Those blows, coupled with his relentless pace and all-around striking superiority, earned the Roar Combat League World Champion a unanimous decision victory, and a shot at a ONE Super Series World Title. 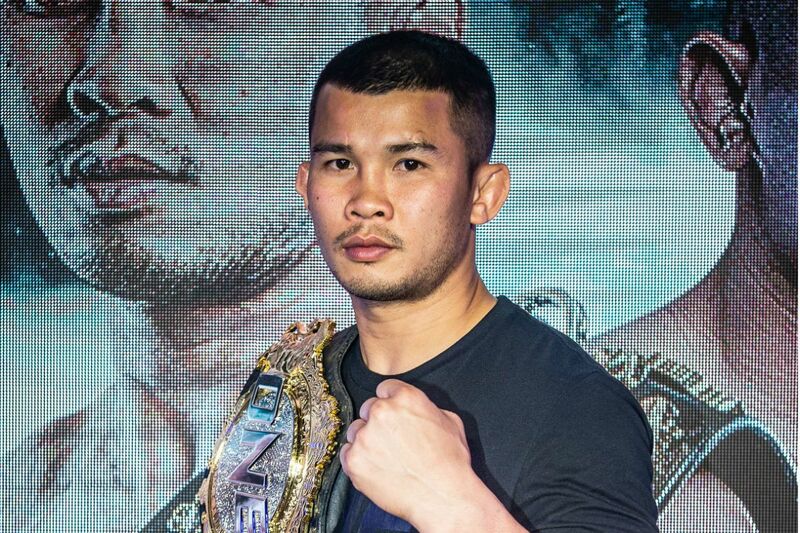 Cambodian Kun Khmer World Champion Nou Srey Pov will look to out-strike Indonesian hero Priscilla on 3 May! Nou Srey Pov was thrown into the ring with an established star in her debut in The Home Of Martial Arts, but she showed no sign of nerves as she comprehensively outstruck Rika “Tiny Doll” Ishige to claim a landslide unanimous decision victory. 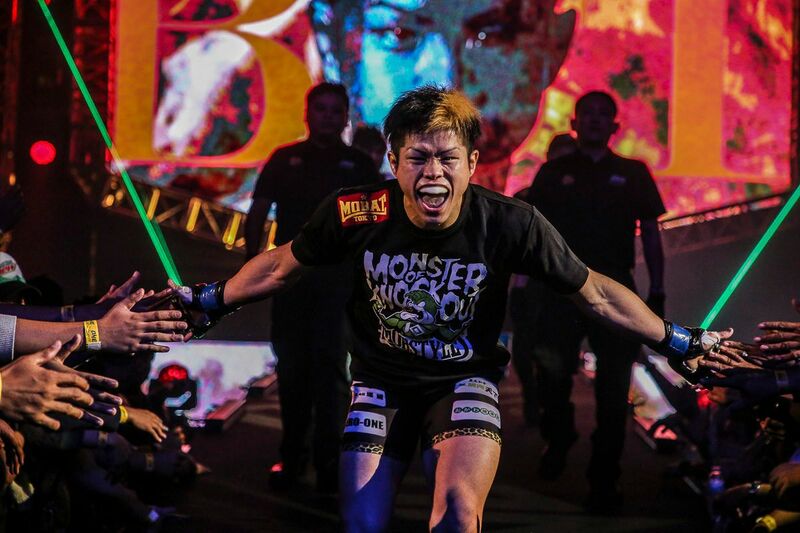 At ONE: CLASH OF LEGENDS in her opponent’s hometown of Bangkok, the 24-year-old’s Kun Khmer striking proved to be too much from the very start of the contest, as she twice dropped the Thai superstar in the opening round. The Cambodian continued to keep her opponent on the end of her punches as she set an unrelenting pace. She connected with punches and kicks throughout the contest to give the judges an easy decision. She was even dominant in the grappling exchanges as she reversed position when Ishige went for takedowns. The Kun Khmer World Champion announced her arrival as one to watch in the women’s atomweight division. Another win in Jakarta against another local favorite will send her stock through the roof. "Thathi" put on a show for her home crowd in Jakarta! Priscilla Hertati Lumban Gaol had a superb 2018 by claiming five wins, and her unanimous decision victory over then-unbeaten Filipina Jomary “The Zamboanginian Fighter” Torres at ONE: CONQUEST OF HEROES was arguably her best display of the year. The Indonesian’s wushu skills were well known heading into the contest, but against an opponent who was more focused on taking the action to the ground, she got the chance to showcase her grappling proficiency in a series of scrambles and positional battles. While “Thathie” was on her feet, she dominated, and she powered her way to a victory via unanimous decision to prove she had developed into a truly well-rounded mixed martial artist. She will get the chance to show all of those skills – and she may need to – against Nou in Jakarta. Scale of 1 to 10: How dominant is Yusup Saadulaev?! Dagestani grappling ace Yusup “Maestro” Saadulaev demonstrated his world-class mat skills when he went hold-for-hold with legendary Japanese leglock specialist Masakazu Imanari and emerged with his hand raised. Imanari was a hero to the Russian as he learned the grappling arts, but he held the upper hand over his grappling role model at ONE: KINGS OF COURAGE. Saadulaev stayed alert in the face of Imanari’s constant leglock threat while he maintained top position for long spells during a tense opening two rounds. One false move could have spelled disaster, but he stayed calm and earned the judges’ favor with his offense. In the third and final frame, Saadulaev went on the attack to threaten his idol and pull away on the scorecards to secure a unanimous decision victory. By outgrappling one of the iconic submission specialists in mixed martial arts he proved he was a world-class operator in ONE. The 34-year-old will return to action against Thanh Le at ONE: FOR HONOR. The British challenger believes he can shock the world and win World Title gold at ONE: FOR HONOR in Jakarta.